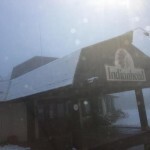 It is snowing in Aspen CO, Wild Mountain Minn, Indianhead Mnt. Mich. Big Sky Montana has 5 inches, Mount Hood Meadows Oregon has 24 inches, And it’s only October! Please tell us how much snow you have in your area.